Are you wondering about how to use the internet and social media to start or grow your business? Do you have a healthy degree of skepticism about what works and doesn’t work? Have you come across individuals who claim to be experts and gurus in the area but you have your doubts? 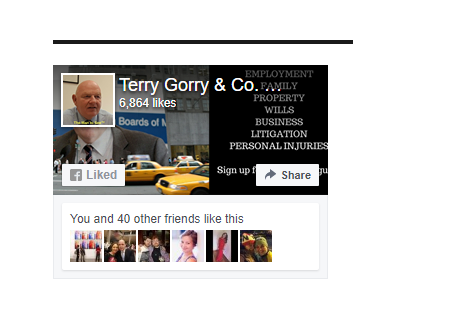 I have built my solicitor’s practice almost entirely through digital or online marketing. So what I have to tell you is based on what works, not some theoretical nonsense with no valid evidence or data to support it. There is plenty of spoofers out there, quite frankly, giving advice about digital marketing, online marketing, social media marketing who really only talk the talk. Not only will I tell you what works, and what the important metrics for my business are, but I will prove it. Yes, I will give you evidence of critically important areas I monitor and measure on a weekly basis to ensure my marketing machine is ticking over nicely with a nice, smooth sound. Firstly, if you were ever involved in a retail business you will know that footfall is critical to your success. Without footfall-that is, passing visitors in the immediate vicinity of your business premises-you will struggle big time. Organic methods include organic search traffic and social media traffic. Paid methods include advertising such as Adwords, YouTube advertising, Facebook advertising, and so forth. To clarify, organic search traffic is when you are looking for a product or service and you search online in a search engine like Google. If your website ranks well in the search engines, especially Google, you will get more of this top quality traffic. 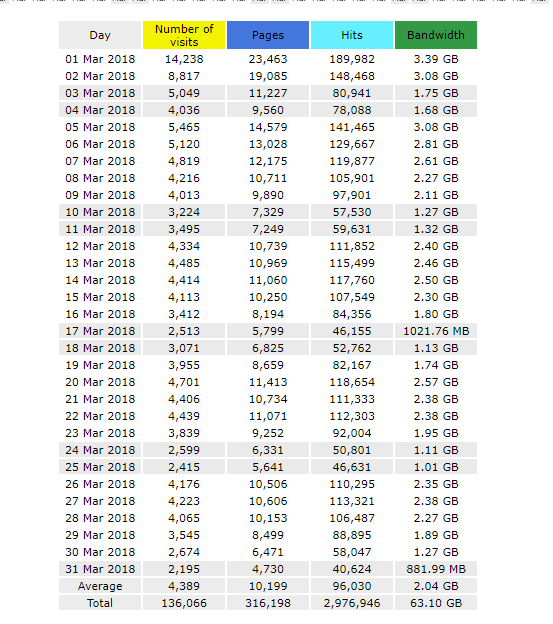 So, my number one metric to measure on a regular basis is my website traffic figures. Putting it plainly how many people visit my store each day-that is, how much daily traffic do I achieve? I have other sites, too, such as SmallBusinessLawIreland.com, FamilyLawIrelandHq.com, and MakingAWillIreland.com. 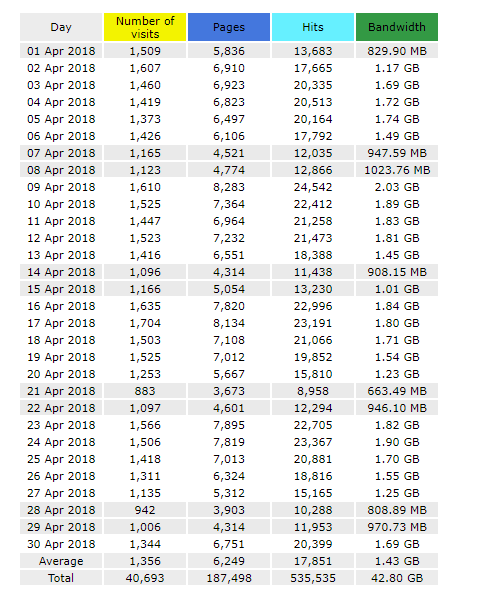 So, between these 2 sites alone I receive 5,745 visitors per day. It is self evident that the more traffic I get the more leads/queries I receive, the more consultations I book, and the more clients I add to my books. The next time you are being regaled by a ‘guru’ or expert with the latest shiny new object for growing your business online ask him/her how many daily visitors he/she gets to his/her website or blog. It will give you some food for thought and should influence you as to whether to do business or not. Let’s face it: if the guru cannot get traffic to his/her site how will he/she do it for your business? Email marketing is incredibly powerful for it allows you to communicate with potential clients/customers in a way which is expected, consented to, and personal. Email marketing, however, is not about asking people to sign up for a newsletter (yawn). No, you want to be much more intentional, useful and strategic than that. 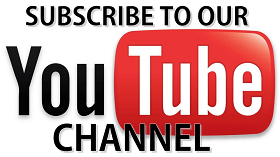 From my business perspective, I monitor the number of subscribers to my list on a weekly basis. Today my total number of subscribers is 6,067. 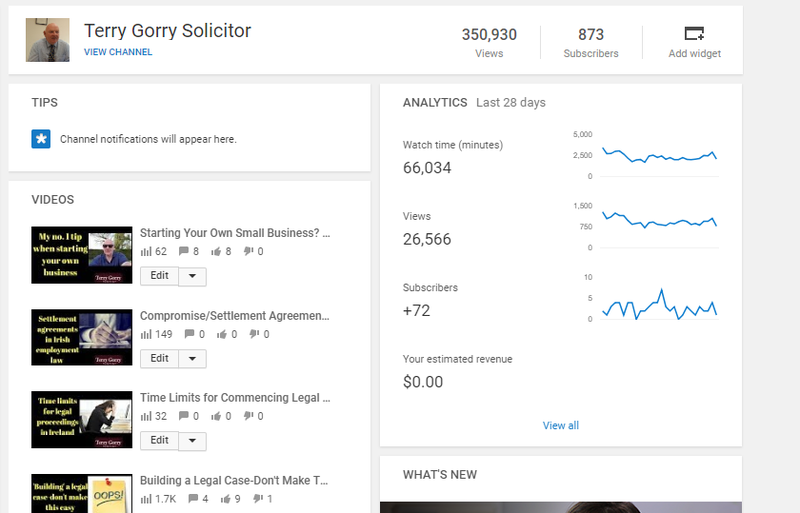 The vast majority of these subscribers have signed up for my free employment law report and free weekly employment law tips. These subscribers are valuable to my business and I am ruthless in ensure good list hygiene by removing anyone whose email address is undeliverable or who have unsubscribed. In fact I encourage people to unsubscribe as I only want people on my list who are interested in what I have to offer. So every week I will scrub my list to ensure only people who want to hear from me do, in fact, hear from me. Video is powerful and allows a connection between video maker and viewer that is difficult to achieve with words alone, especially given the attention span deficit of people nowadays. This is why I put a lot of effort into my YouTube channel.Checking the number of subscribers I have is an extremely regular occurrence. In other words, ask them politely, ‘don’t tell me, show me’ when it comes to growing your business online. Have you a service based business? Are you confused about what actually works to grow your business on the internet? Yes, it’s easy to be confused. Because there is lots of conflicting advice. About blogging, websites, social media marketing, video, audio, YouTube, podcasting, search engine optimisation, guest posting, etc. Some of this advice is well intentioned, some is plain wrong, and some is simply theory as to what might work. Throw paid advertising and expensive “consultants” into the mix and it’s easy to just sit tight and do nothing. I understand your situation, because I was there too, not so long ago. 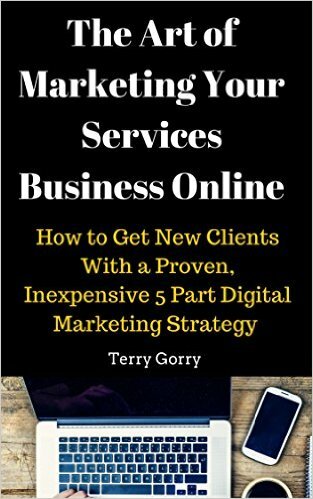 I am a lawyer and my book “The Art of Marketing Your Services Business Online:How to Get New Clients With a Proven, Inexpensive 5 Part Digital Marketing Strategy” sets out exactly the steps I have taken, and take every day even now, to grow my client base. And my income and profits. 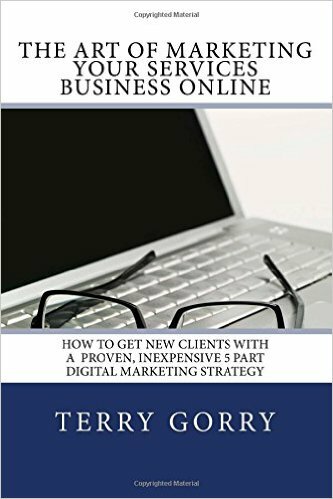 What’s in this book is the exact strategy I have followed since 2011 to build my law practice by getting new clients through smart, cost-effective online marketing. So if you want theory or a bird’s eye view of online/digital marketing this book is not for you. 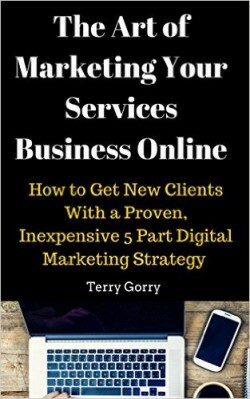 But if your business provides a service, and you want to increase the number of your clients by exploiting the power of the internet, this book will help. Because it sets out the proven, simple 5 step strategy I use on a daily basis since 2011. With my strategy you will have a clear action plan to exploit the power of the internet to increase your client numbers. This clarity will allow you to clear away the fog of confusion surrounding your efforts, and help overcome any procrastination about what you should be doing. The strategy I set out in this book can work for you too, provided you take action and follow the steps, and adapt it for your particular business. It’s not a silver bullet. There are none, I’m afraid. It is a cost effective strategy that will, as sure as day follows night, drive new clients to your business. It doesn’t require a huge investment of capital. All it requires is consistent work by you on the 5 pillars of the strategy. They are easy to follow, provided you are committed to serving your market, and want to grow your business by tapping into the power of the internet. This strategy has worked for me, and allowed me to build a successful law practice with practically no money investment. Take the steps in this strategy and you will truly serve your market. And grow your business by steadily acquiring new clients who will see you as trusted authority, a “go to person” in your industry. Also available in paperback-click here. Are You Guilty of Committing These 24 Common Mistakes in your Online Marketing? Make a fool of yourself lately? It’s easy to do, you know. Since starting to market my business online I have made a lot of mistakes. But I’ve learned from them. Here are 24 costly blunders-I have made most of them at one time or another. Hopefully listing them here will help you avoid all of them. Paying seo “specialists” to rank your site in the search engine results pages for search phrases that don’t appear anywhere on your website/blog. The good Lord can’t make this happen. And your “seo expert” is ripping you off. Using video, uploading to YouTube and not using the description box to its full extent. For example by linking back to your website/blog. Here’s what needs to go in the box: http://yoursite.ie. No LinkedIn account or profile. White text on a black background on your website/blog. You might think it looks cool, attention grabbing, and funky. It’s just annoying for the reader after a short while of trying to read what you have to say. Take a look at Google.com, Facebook.com, Twitter.com, Apple.com, Youtube.com, Pinterest.com. All these online monsters have one thing in common: black text on a white background. It has worked well since the invention of the printing press, usability studies have proved it is the most effective colour combination, and people expect it. “Doing a blog” and thinking it is a good use of your time. Instead, publish great content that your visitors will appreciate because it helps solve their problem or educates them about issues that interest them. Planning what you are going to write, researching it properly, and writing in a crystal clear way is what’s required. And committing to publishing regularly. Failing to find out what your target market, your ideal customer, is looking for (see 7 above). It’s easy to find out eg ask them in a short survey, see what they are saying on forums and discussion boards, etc. Failing to give it to them. 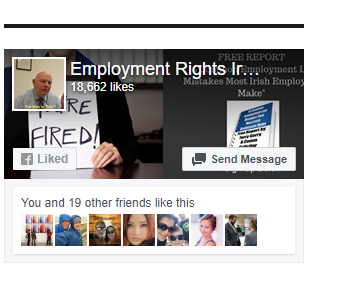 Advertising on Facebook for “likes” (send the money to a worthy cause instead-maybe the homeless in Dublin). UPDATE September, 2015: I no longer believe number 10 is a mistake. In fact, I have discovered that advertising on Facebook can be stunningly effective, if you know what you are doing. I would strongly recommend advertising on Facebook, but ensuring that your ads are good, your audience is tight and focused, and you are not trying to sell from your ad. You would be far better off building your email list with your Facebook campaigns (see number 12 below). Too many potential traffic leaks away from your website/blog to places like Facebook, Twitter, or other social media sits.Facebook and Twitter don’t need your traffic. You need theirs. Not using email to connect with your audience/potential market. No internal linking on your website. Allowing your visitors to find quickly and easily what they are looking for on your site is critical. Internal linking helps to do this. A boring, uninformative “About Us” page which is exclusively about the writer. It should also, ironically, be about the reader and what you can do for her. No photo of a human being on your “About Us” page. (see 14 above). Asking people to become subscribers to your website newsletter but not giving them a reason to sign up. You need a strong “lead magnet/ethical bribe”. Asking people on social media sites like LinkedIn to “read my latest blog” or telling them in a headline:“New Content”. Give them a reason to read it and address the question of “what’s in it for me?”You can’t bore people into submission or doing business with you. Not enough or poor, thin, uninformative content on your website/blog. Broken links on your site. Boring titles on your articles/blogs/posts which give no encouragement or reason to the reader to actually read what you have written. Offer them a benefit in your headline-a benefit for the reader for reading. Not categorizing your blog posts to make it easy for your reader to find what he is looking for. Failing to use images. A picture is worth a thousand words, if it is the right picture. Using images but no alt tags. Thinking the search engine results pages are organised alphabetically. Google, and the other search engines, organise the results in terms of relevance to the searcher’s “query”. Have you made any (many) of these mistakes? Have you made other mistakes? What’s the worst one you have made? Or more to the point: are you confused about what actually works in online/digital marketing? Do you run the risk of listening to spoofers-self appointed “gurus” who don’t actually put their theory into practice every day? Digital marketing, aka, online marketing is the use of new media-such as the internet, video, mobile phones, laptops, iphones, android phones, iPads, rss feeds, social media sites, web 2.0 sites, blogs, podcasts, email – to market your business. The wide, and growing, range of these marketing options can be overwhelming and confusing for many small business owners. The growth of “experts” in social media marketing and search engine optimisation has added to this confusion, especially when a lot of the strategies being promoted are not shown to have worked for businesses like yours. The irony is that the leading social media “gurus” and experts, to a man and woman, rely heavily on email marketing to grow their business. 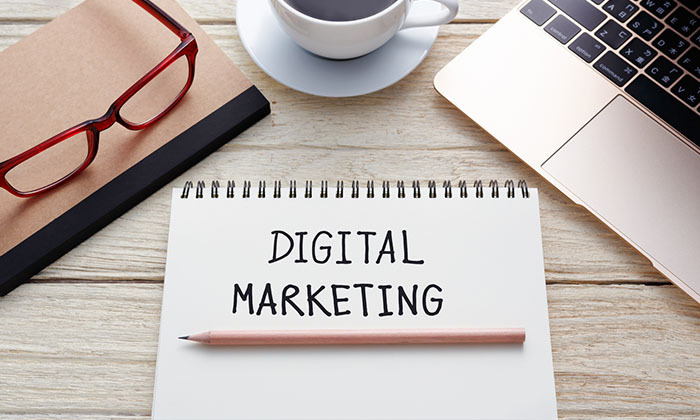 Digital marketing offers the small business owner an unprecedented opportunity to engage in direct marketing at a fraction of the cost required for traditional advertising or direct marketing. “Direct marketing” is a phrase coined by Lester Wundermann in a speech in MIT, in Boston in 1967. He later stated that he wished he had called it “personal advertising” which gives you an indication of the power of direct marketing because it involves targeting your potential customer directly. Contrast this personal approach with an advertising campaign on the tv, radio, newspapers, magazines for a product like dog food. Your campaign will clearly interrupt non dog owners too. Digital marketing offers the small business owner the opportunity to engage in smart, cost-effective guerrilla marketing type strategies. Using the most appropriate digital channels in the right way will see a disproportionate return on their efforts. Up to approximately 15 years ago the small guy had no chance of competing with the ad spend budgets of bigger and richer competitors. It took Coke 50 years to build a global brand with traditional advertising on tv, radio, newspapers and magazines. It took Google 2 years to become a global brand via the internet, with no advertising spend. Yahoo needed 3 years and YouTube did it in 1. Have you ever seen an advertisement for Facebook, Amazon, Ebay, Google, Twitter, Pinterest or YouTube on tv, radio, newspapers or magazines? They’re as rare as hens’ teeth. Twitter launched in 2006 and has roughly 271 million active users. Facebook is rumoured to have 25% of its servers dedicated to the phrase “lol”. Pinterest launched in beta in 2010 and was listed in Time magazine’s list of “50 Best Websites in 2011″. 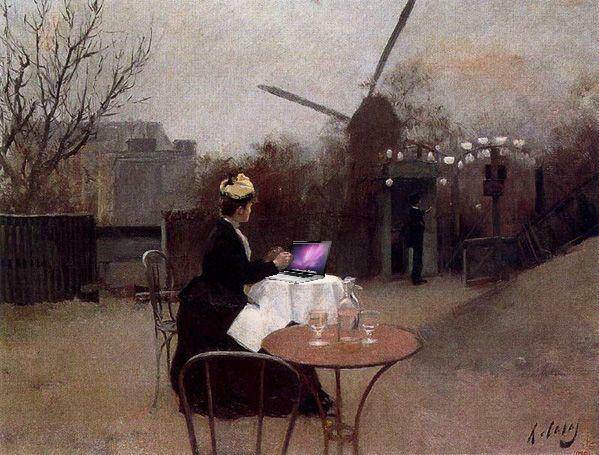 In January 2012 it had 12 million users and worked out of a small apartment up to 2011. Now, none of these facts alone will help you grow your business online. But hopefully you will take away one thing: there is no one size fits all strategy for every business, and any social media or online marketing expert who has this view is either mistaken or misguided. Every business is unique, and there is a strategy involving a combination of online marketing channels which will be best for your business. Your job as a small business owner is to find what’s right for your specific business. Don’t have a website or blog? An easy to navigate, informative blog is all you need to establish you or your business as a trusted authority. If you are a small business owner and you don’t have a business blog or website you should take the 5 minutes it takes to read this page. Because it will be well worth your while. You may be a doctor, a hairdresser, a beauty salon owner, a car dismantler, a tyre replacement business, involved in waste disposal, a carpenter or plumber, a florist, involved in ladies fashions, a barber, in construction or a tradesman, a dog groomer, vet, accountant, architect, butcher…it really doesn’t matter what business you are involved in. Or maybe you don’t have an existing business but you are thinking about starting one up. One of the things that might hold you back from having a website is that you may be thinking..
…“I am not technical minded”, “I don’t know anything about that whole interweb thing”, “I haven’t a clue about social networks”, “I am afraid of being ripped off”, “I don’t know where to start”, “I don’t know what I need”, “I don’t know what a search engine is”. These fears are entirely understandable. I was in your shoes too once and understand your concerns all too well. And they are entirely groundless. Let me explain: you see, there are web designers who are “tech people” who are turned on by graphic design, coding, html, css, and so on. Small business owners like you and me are only really concerned with what a website can do in terms of growing your business. The good news is that you don’t need to invest a huge amount of money for a fancy, technologically advanced site. What’s far more important is what’s actually on your site-is there helpful, informative information for your visitors? A simple site or blog crammed with useful information for your visitors, and which is easy to navigate, is all you need. Let me explain some benefits-21 in fact-of having a website or blog for your business, no matter how small it might be today. Assume for one moment that your business is in a pretty small Irish town and you discover that there are very few people in your area searching for what your business has to offer. For example “accountants Mullingar”, according to the Google keyword tool, is only searched 12 times per month in Ireland. You may assume that there is no point therefore having a website for your accountants business located in Mullingar or, if you already have one, ranking near the top of the search engine results page for that phrase. But of course the lifetime value of one new client per month could be quite significant over the course of that client’s lifetime and the lifetime of your accountant’s practice. When someone does search for “accountants Mullingar” do you want to be top dog or are you happy to let your competitor snap up that business. So even though the market may be relatively small in search engine terms it would be the height of folly to leave your competitor have the field to him/herself. People who might consider doing business with you expect you to have a website-having a web address on all your correspondence, business cards, direct marketing materials, advertising, and so on will give your business a much more professional corporate image. Advertising is expensive and advertising in local newspapers or magazines is charged by the word and space; with a website you can run economical small ads and refer readers to your website where space is unlimited and you can tell your potential customers what you wish. A website will not need to be paid like an employee even though it works around the clock for you. You will never need to worry about holiday pay, sick pay, maternity pay, hangovers on a Monday morning, or any of the other problems that arise from time to time with humans. A website gives you a great opportunity to demonstrate and explain your products and/or services. You can do this by text, video, audio, PowerPoint, or whatever you choose. All your contact details are always available. You can utilize video to market yourself or your business, carry out demonstrations, educate, entertain..try doing that with the Westmeath Examiner. A picture can be worth a thousand words. And you can use unlimited amounts of images. A hairdresser’s business can be greatly enhanced with plenty of photos showing examples of the various cuts and hair treatments you provide. And a picture can replace a thousand words..
You can build a list of subscribers and let them know of special offers, build a relationship with them and always ensure that your business is in the forefront of their mind when they do decide to purchase. You could set up an automated appointment making system for people seeking suitable times for whatever treatment/consultation they require. You can create a restricted area, a forum for example, for your employees on the ground to exchange ideas and information. You can encourage and answer customer/potential customer queries and questions. A comprehensive frequently asked questions section on your website can be very helpful in assisting potential and existing customers..and saving valuable staff time in answering the most common ones by phone or email. Many buyers suffer from “buyer’s remorse”; if your new customer is having second thoughts about their purchase or your business a good, professional website to which they can refer can be reassuring. Your site can let people know more about you, your expertise, your business, and your employees. And you are in complete control of this valuable information which will be available around the clock. Your website will allow you to make certain special offers available online only. This can be a great way to also generate new subscribers for your newsletter. (Your newsletter by the way can be delivered electronically or physically or both ways). Setting up a shopping cart on a website is very easy nowadays with many secure payment options allowing you to grow your market and reduce the need to carry physical stock. You lessen the chances of a crappy review from a dissatisfied customer ranking no. 1 in the search results when your business is searched for. Without a website there is a strong chance of this happening when the searcher looks for your business. With a website telling allowing you to put your best foot forward the chances of your site ranking above the poor review is much, much higher. Your website can also serve as a comprehensive product brochure for all your business’s products and services. This can easily be added to over time by your own secretarial and/or receptionist staff in less quieter periods. No matter how small you business might be right now your potential new clients or leads will fully expect you to have a website. It gives reassurance to your customer/lead and demonstrates that they are dealing with a professional. What sort of message do you give your leads when looking to generate new customers and you have not invested in a website for your business? Would this be a turn off for your potential customers? I fear so. Having a Facebook page is fine. But everyone knows that anyone can set up a Facebook page for free. You need to consider whether this is going through your leads mind when you are speaking to them. Don’t misunderstand me: having a website is not a silver bullet. It won’t solve all your problems and it will not give your business all the drive and impetus it needs. That is up to you.. But it is an essential for any business that wants to be taken seriously and be seen as a business on the move, a business that is professional and serious about it’s approach to serving it’s customers.